Dec 22 By Jen 8 Comments This post may contain affiliate links. 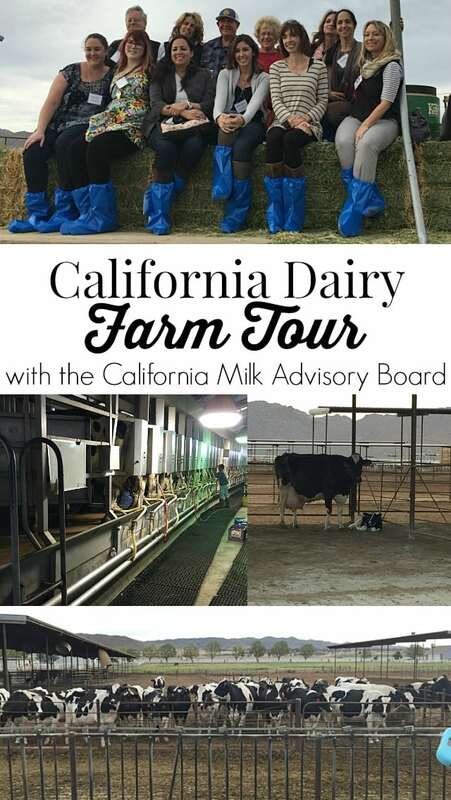 Let me take you on a tour of the Thrifty Ice Cream Plant and a real Dairy Farm in sunny California! 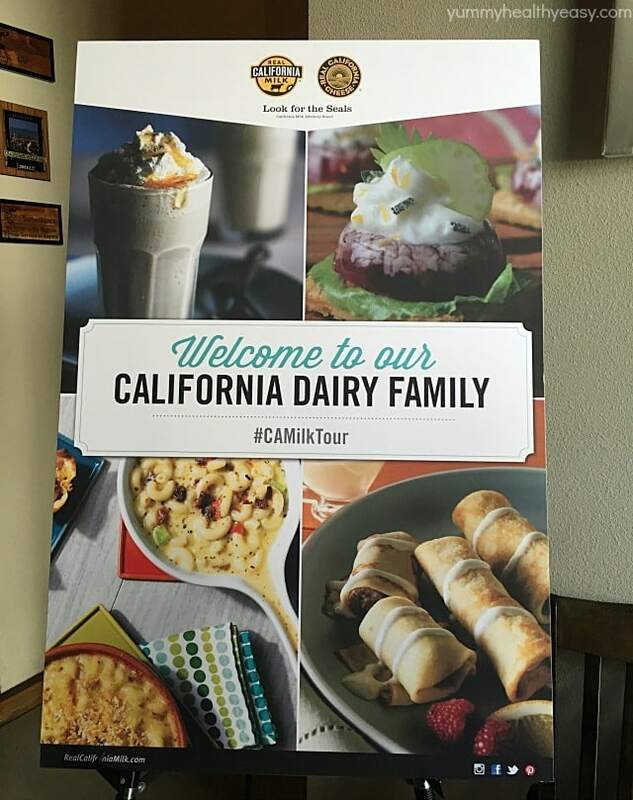 This is a sponsored conversation written by me on behalf of California Dairy. I’m an ambassador and the opinions and text are all mine. So needless to say, I was thrilled to go! I drove down to a hotel in Monrovia and met up with all the dairy crew, PR peeps and some pretty amazing bloggers that were invited to attend. Then we were treated to a world class dinner at the cutest restaurant in Pasadena called The Eatery. We had a fabulous 6 course dinner (no joke!) filled with every cheese you could imagine. 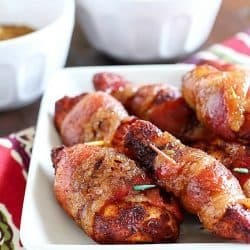 Truly some culinary deliciousness. After a peaceful nights rest in my very own king size bed (and no kids to wake me up!) 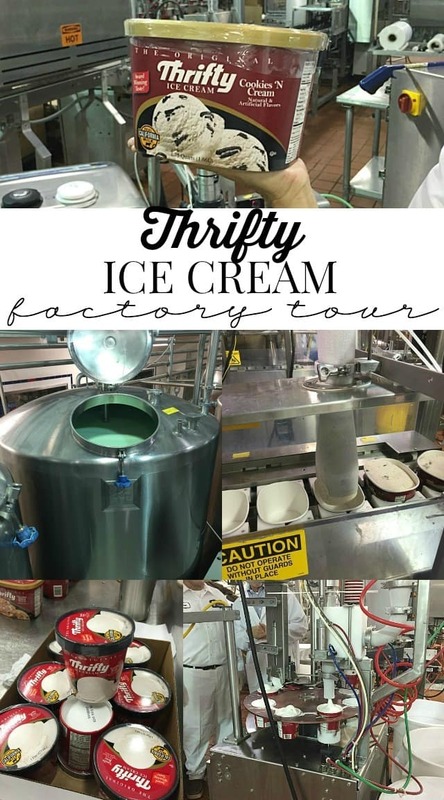 we headed to El Monte, CA to visit the Thrifty Ice Cream Factory. So, I’m going to be sappy here but Thrifty Ice Cream is special to me. As a little kid, my grandpa would pick up my older brother and I and take us over to our local Bashas’ grocery store (now Rite Aid) to get a scoop or two of Thrifty Ice Cream. 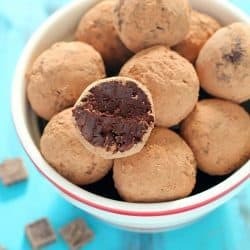 I have fond memories of picking out my favorite flavor (Chocolate Malted Crunch) and savoring every lick. My grandpa passed away several years ago but the good memories of going to grab a scoop of Thrifty with him remains. 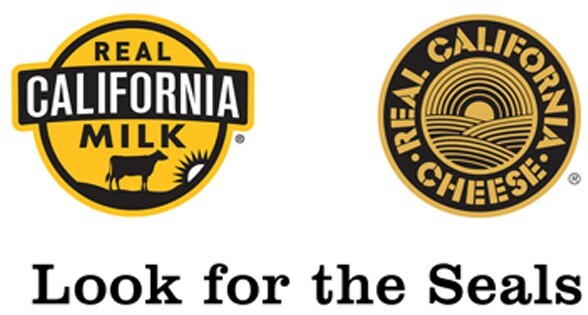 Of course, Thrifty Ice Cream uses Real California Milk – you can see the seal printed right onto the ice cream container above! The Thrifty plant is small yet efficient. They opened in 1940 in Hollywood, CA. They’re going on 75 years next year! That’s a successful company in such a competetive market! We were able to walk around the inside of the plant and see exactly how the ice cream is made. 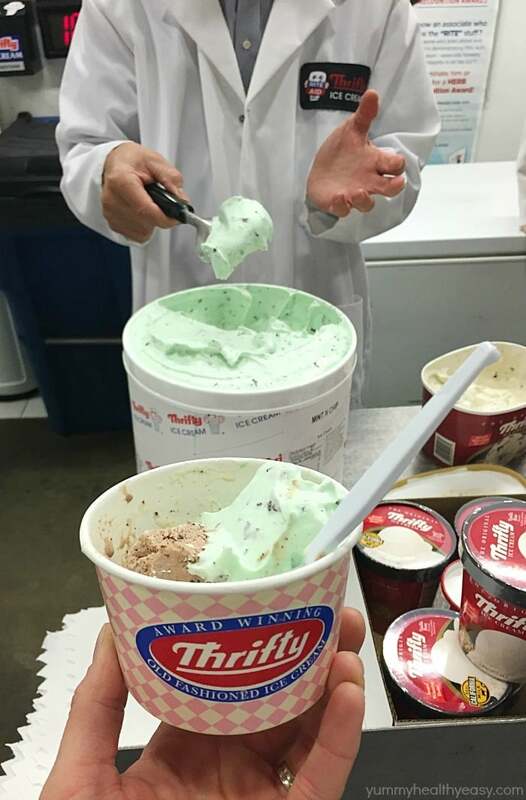 Fun fact: Thrifty makes 2,000 gallons of ice cream per hour in each of their SIX machines! That’s 12,000 gallons per hour total! That’s a LOT of ice cream! To make all that ice cream, they use 150,000 pounds of Real California milk per day and sometimes up to 250,000 pounds in the hot summer months. Lots of creamy, fresh milk to make one of the best ice creams around. Aside from trying many of the flavors, I got to hang out with some pretty cool people. 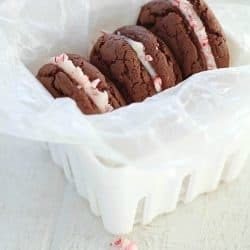 I met Glory from Glorious treats, Chung-Ah from Damn Delicious, Valentine from Cooking on the Weekends, Diane from Created By Diane and Mique from Thirty Handmade Days. And I got to see my friend Hayley from Domestic Rebel again (she’s a hoot!). Ice cream for breakfast and hanging with friends? What more could you ask for? After a Thrifty Ice Cream breakfast, we headed to The Salted Pig in Riverside for lunch. The tablescape was absolutely gorgeous, with fresh flowers all over the place. The menu was outstanding, guys. 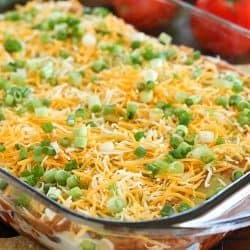 Cheese in every course. My favorite was the burrata cheese with this malted milk toast bread. OMG todiefor. 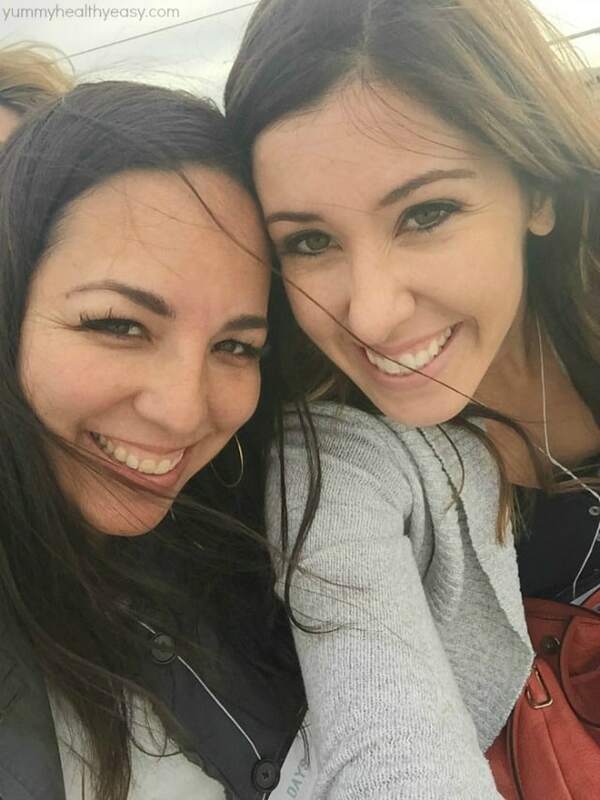 After stuffing our faces, we rolled out of the restaurant and headed to a real life dairy farm. Owned by the Bootsma family (they are the sweetest people ever! Even gave us the most delicious cookie goodie bags when we left!) We donned these trendy blue booties (below – awesome, right?) and walked through the farm to see the cows. I have to say, it was not what I expected. I was expecting lots of annoying “moooos” and ahem, poop everywhere. I was expecting horrendous smells and lots of cow crowding. Well, I’m pleased to say that’s exactly the opposite of what I saw! The farm was open, clean, orderly and surprisingly quiet. P.S. – happy cows don’t moo. We ALMOST saw a cow being born. Birthed, guys. Crazy! I saw little hooves sticking out of a cow’s backside (eek!). We waited around to see if we could witness the miracle of birth but, alas, the farm tour was waiting and we went off to look at the feed area. About ten minutes later when we went to take a tractor ride, we peeked back in at the mama cow and sure enough, she’d had the little baby calf! Missed it by a minute! Did you know that California is the nation’s largest farming state and milk producer since 1993? And is also the country’s leading producer of butter, ice cream, nonfat dry milk and whey protein concentrate? Accounting for more than 20% of the United States’ milk production! It’s also the 2nd largest cheese producer. That’s crazy to think about because I assumed other states such as Wisconsin, would be a larger farming area and producer over California. So when you go to the grocery store, make sure to find the dairy products that have the gold seals bragging that they use Real California Milk so you can support local California farmers, like the Bootsmas. Me and Mique from 30 Handmade Days enjoying the tractor ride around the farm! 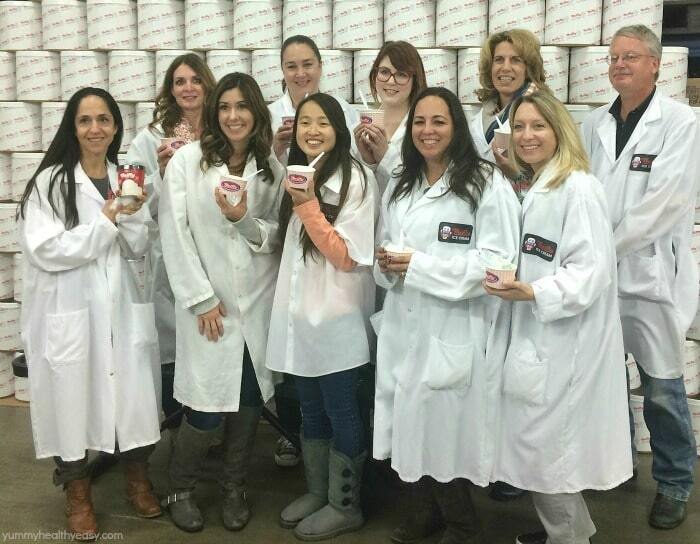 Thank you California Milk for inviting me on such a fun excursion into the world of dairy! Jen this looks like so much fun!! And I’m the same way, I have so many memories with Thrifty’s ice cream 🙂 I always went for the Mint Chip! Craving Thrifty now!! Love this, looks like so much fun, Jen! What a great day you had at the factory. I am sappy with you! Thrifty has always had the best ice cream. It was always in our house as kids. Yay for California farms! Thank you Jen. 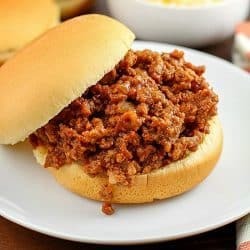 I enjoyed your blog. Happy Holidays to you and your lovely family. Okay – VERY COOL!!! Makes me miss home! 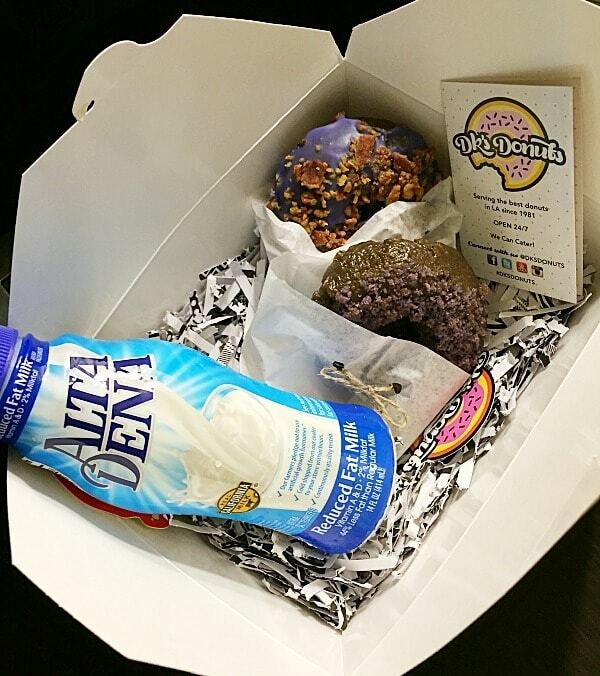 Chocolate Malted Crunch is my favorite too- great experience – loved seeing all this fun Jen! Such a cool trip! Loving the ice cream and how you all look frozen to death. So you totally scored getting to go on a dairy and ice cream tour!! I’m sooooo jealous of this trip! I grew up on square scoops of 25 cent Thrifty ice cream. Would love to tour their factory! 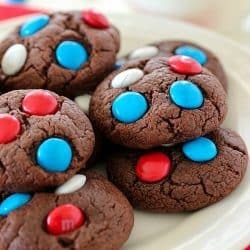 The Mint Chocolate Chip was my favorite!